LEXINGTON, Ky. (Friday, December 29, 2017) – The National Thoroughbred Racing Association (NTRA) announced today that award-winning NBC Sports and Racing UK broadcaster Nick Luck will host the 47th Annual Eclipse Awards presented by Daily Racing Form, Breeders’ Cup and The Stronach Group, on Thursday, January 25, at Gulfstream Park in Hallandale Beach, Fla.
Luck will replace longtime Eclipse Awards host Jeannine Edwards, who recently announced her retirement from ESPN and will undergo rotator cuff surgery in January. Luck, 39, has been broadcasting for 16 years. He rose to prominence as the main host of Channel 4’s ‘Morning Line’ live weekly magazine show from 2010, and, from 2013, the lead presenter of Channel 4 Racing, either solely or alongside Clare Balding. In 2015, he fronted the network’s live coverage of the Grand National, a four-hour broadcast which drew an audience of over 9 million viewers and which received the prestigious ‘Broadcast’ award for Best Live Sports Programme as well as a Royal Television Society nomination for ‘Best Live Event.’ Nick also anchored the Derby, Royal Ascot, Glorious Goodwood and all other major events until the network’s franchise ended in 2017. He currently hosts the popular weekly show ‘Luck on Sunday’ for Racing UK in addition to all their major events, and has recently been heard as the voice of BBC Sport’s Equestrian coverage. Luck began working as a reporter on the Breeders’ Cup World Championships in 2006 for ESPN, and continued as a reporter and analyst on the ESPN telecasts through 2011. 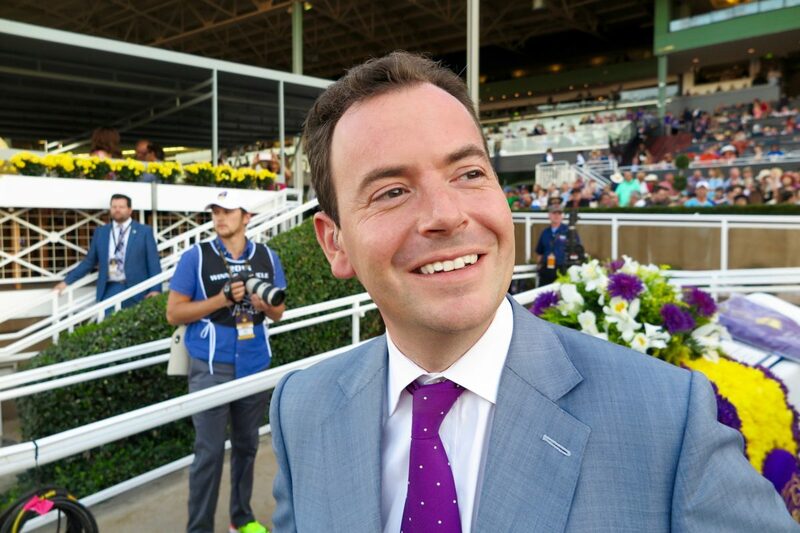 Since 2012, Luck has been a part of the NBC Sports broadcast team of the Breeders’ Cup, and has also been reporter, analyst and host of Breeders’ Cup Challenge series programs on NBC and NBCSN. In June, Luck hosted the first NBCSN live coverage of the Royal Ascot meeting, and will be a part of NBC’s Broadcast team for the Pegasus World Cup. Luck, who lives in London, has also worked for ITN, Equidia and Eurosport, and has been a contributor to the Evening Standard, Sunday Telegraph, The Guardian, as well many specialist racing publications. Luck was the keynote speaker at the inaugural Equestricon in Saratoga Springs, N.Y., this past summer. Eclipse Awards tickets are available for $425 each or $4,000 for a table of 10. Blocks of rooms have been reserved for Eclipse Awards guests at the Turnberry Isle Miami, Autograph Collection. The NTRA group rate is available through today and additional details can be found on the NTRA website at NTRA.com/eclipse-awards.